Ayush Jain is an entrepreneur whose work revolves around building global teams that work efficiently. He loves to encompass everyday adventures and turn them into meaningful success lessons. Ayush co-founded MindBowser, a digital agency and currently working on his new endeavor RemotePanda. RemotePanda is a curated marketplace that takes care of end to end remote work cycle including searching, hiring, recruiting as well as managing remote employees. My long runs also provide me the opportunity for introspection. I consider it to be the best part of running- Imaginations run wild at the pace of legs, and I have found myself in middle of varied thoughts from Elon Musk to Scarlett Johansson, from profits to growth and the stock market crash, etc. And that’s when it hit me. THE POWER OF FINISHING. I think the most important trait to be successful is about how much obsessed you can be to finish anything at hand. Do you complete every task at hand before you take a break? Do you finish every book that you start? Do you make sure that the one task that could have been done today is not moved to the next day? Our mind is wired into telling us that we are tired and that if we do not sleep on time or do not take enough rest, we may soon find ourselves in the hospital with a breakdown but can you build the willpower to overcome those thoughts and make sure that you don’t settle unless the work is done. The habit of finishing has far-reaching effects on productivity. Extending that last stretch leads to satisfaction which leads to overall happiness levels. Also making sure that there are no tasks left unattended frees your brain from the unnecessary worry of too many things to be done. Additionally, every such stretch makes sure that you are not spending time every time to get started. It’s like if you have a goal of 5 miles either you can do a 3 mile and do not enjoy the happiness that comes from achieving the goal or does 5 and feels satisfied for throughout the day. What do you guys think about it? What are the factors you believe are most important to succeed in life? Life is an eternal learning curve, so much to learn from so many aficionados. We all have people we look up to, whether it’s for business guidance or ameliorating personal life. These role models of ours are what we thrive to be and follow their footprints. We follow them, envy them, get inspired, get motivated and learn from them. These mixed feeling persuade us to propel and take a step toward our dreams. Founder and CTO of HubSpot are on top of my list. The kind of content and insights he provides is just amazing. He is like an idol. I look up to the honesty in his content, like what he has built with HubSpot. Introduced to HubSpot 10 years ago and have seen it grow into the giant it is today. I am pretty sure that every marketer has visited HubSpot at least once. HubSpot has become more like a Wikipedia for Marketers now. Well, that’s not all, HubSpot also aims to help customer-centric startups and early-stage ventures reach their full potential. Recently HubSpot launched HubSpot Ventures – A $30 Million Fund to Support Customer-First Startups. New York Times bestselling author, a top influencer on the web, one of the top 10 marketers, creator of one of the best 100 companies are few of the accolades of Neil Patel. Founded in 2011, BYJU’s has come a long way under the leadership of Byju Raveendran. BYJU’s is a perfect example of building a global business from India. It was Byju Raveendran’s vision that made BYJU’s #1 in Edtech space throughout the world. It would be really amazing if I got to meet such an accomplished man. To add more, EdTech giant recently got $540 million in funding and got valued at $3.6 billion. Byju’s is set to use the fresh funding to build new products and aggressively expand in international markets. Taso Du Val CEO of Toptal is one person that I am very eager to meet. As a remote work advocate myself, it always excites me whenever I hear someone talk about remote work. As they say “Surround yourself with those on the same mission as you,” it would be great if I could have a chat with Taso on the future of work. Well here is my list but what about you? I am sure you have a similar list of people that inspire and motivates you, let me know who all you are on your list. When you consider your life as a whole, it is bound to be full of ups and downs and in a lot of ways that is the essence of life. In a lifetime where you haven’t failed at all is one where you haven’t tried anything new at all. That is something alarming. Anytime you think of taking a risk; it is given that there is a solid chance of failure at the end. But you still got to do it, not just for the sake of experiencing things but for the need to get ahead. Learning is achieved through failures and downfalls. The will to stand back up and keep going at it is what defines your character. Completing a full-length marathon has always been a pipedream for me, and at a certain point of time, I decided I was going materialize and worked towards realizing it. I started working towards the ultimate goal and completed a half marathon in October 2016. The success probably got to me as I decided on an impulse to go for a full marathon within just two months. The glory was perhaps what I was eyeing, and I failed to see the bigger picture – the training and back-end work one has to put up before being confident about my readiness to run. Needless to say, I wasn’t able to complete it that year. Fast forward a year – in 2017 I was now determined to overcome all my shortcomings from the previous year. But what I completely overlooked was one of the most essential elements – Discipline! Training for a marathon requires a lot of strength training and conditioning, almost as much if not more than the actual run. I started training quite late and then haphazardly. One important thing to remember when you are training for anything the way is to go step by step. You run 10 miles on one day; then you cannot possibly expect to do 20 miles next week. It is always a gradual process, requiring daily efforts. The old tale of a hare and tortoise tells us to win races by being slow and steady, but I took the rabbit’s way. I went in it hard and fast and ended up hurting my knee just a few shy of the race day. The wait extended by a year! The third time around and that is this year; I had learned a lot from the previous debacles. I was now determined to go beyond, cross all the obstacles and reach the destination. It was now time to take up the gauntlet and knock it of the park. This time, the training began much earlier, as planned. I went in one step at a time, progressing towards my aim one day at a time. The training gradually starts growing on you till one day it’s like an addiction. All you have to do is stay consistent, be persistent and see the progress. Every day, you have to work a little harder to go an extra minute. You can achieve that, and you will make progress for sure. Around this time, building a peer group of like-minded runners is very helpful. These peers are not only to push when you think you cannot go any further, but also to keep you motivated enough till and during the race day. Healthy competition is necessary to inch closer and closer to your goal. Another thing that has to be taken care of is to have a clear goal in your mind, a goal that has to be specific and achievable too. There is a thin line between achievable and going too easy. Going easy will just make you lose all your tempo, but a challenge tough to achieve but achievable nonetheless is something worth going the distance for. Another thing that helped was social pressure. This year, I made a public announcement that I’ll be completing the upcoming full-length marathon. The heat of the moment announcement but it somehow build enough social pressure around me. Social pressure that helped me to keep going and kept me from quitting midway. I had to prove myself and show the world! After tireless hours of training, the day came. The day I was going to prove myself. The nervousness was evident in the air on the day of the run. Thousands just like me had come there to run. Some were there to prove a point, others just for the fun of it while a certain section was made up of people who ran as a habit and didn’t want to know otherwise. The race began, and I consciously controlled my nerves. In my excitement, I would have gone too fast at first and then would exhaust myself at the 20th mile or so. I was well aware that this was the rubber match for me and the marathon. This time, I was determined to conquer! During the run, you have to have some sort of motivation. There are a lot of ways to do that – music, talking to your peers, self- talk, etc. Self-talk is very necessary for such situations. Very often, our brain gives up way before our body actually has to. This result is human beings giving up way before their capacity. Our body is capable of going amazing lengths and staying unaffected; we are just scared to test it. Self-talk helps you tune out everyone else and focus on your own physical being. I finished the race my third time. Isn’t it said that third time’s the charm? I sure do agree with it now. The satisfaction of finally finishing it was a bit overwhelming, to be honest. When you finally accomplish a task, there is this feeling of completion and the knowledge that you don’t have to work towards achieving it again from tomorrow. However, you become more than determined to get even better the next time around. While running, you realize that once you are going at your absolute peak, the outcome is not going to affect you at all. Whether you finish or not, you start enjoying the moment. And at the moment, results and outcomes hardly matter. The only thing that matters is having fun, giving your absolute best and enjoying the process. For the final eventuality may last forever, but the journey is always the one that stays etched in memories. How can you possibly save up to $20,000/year? By hiring Remote Employees! Now before you roll your eyes or move on thinking it is impossible, let us have a look at the stats. Note: The money saved is $20,000 per employee per year. Companies spend up to $20,000 extra apart from the basic salary of the employees each year. These costs include office rent, IT infrastructure, office supplies, recruitment costs, and employee benefits such as medical insurance, employment taxes, and other expenses. One can easily save extra expenses by hiring remote teams. An exemplary instance is how American Express saved almost $15Mn/year by allowing its employees to work remotely. If a company as reputed as American Express can take advantage of remote work and save so much money, why don’t all other companies take inspiration from it? After all, businesses are mostly about the bottom line! Turns out the answer for it is that not everyone can manage remote workers successfully. Companies underestimate the structure needed to manage remote teams. A company needs competent managers capable of handling both in-house and remote workers simultaneously. When done right, companies can easily save up the money they would otherwise spend on running a physical office. The benefits required for an employee salaried $50, 000 would involve life insurance up to $150 and health coverage ranging $2000 to $7000 depending on whether it is for an individual or family. The telephone and computer expenses sum up to $1000+ per computer and $ 700 for telephones and basic software. Additionally, the rent for space is also included which can amount to $2000 at a minimum. The costs can go even higher depending upon the location and how fancy the workplace is. The total expenses go up to $4000 per employee when working in the physical office. Let us dive deeper into how you can make remote actually work and save your precious money. At first glance, you might think that hiring remote workers will cast a negative impact on productivity. They might indulge in household chores or any other activity than work. You might also wonder how you would even monitor them if they are working from the comfort of their home. However, according to the latest survey by Flexjobs, over 65% of remote workers think that they are more productive working remotely. Unlike the traditional office environment, there are fewer distractions from colleagues, reduced stress of commuting and zero office politics. The absence of such things definitely boosts the productivity of the employees. Another study done by the University of Illinois revealed that the task-based performance of employees increases significantly when working remotely. Some employees like to work late night while some are early birds. A flexible work environment helps employees in making the most of their productive hours thus improving the quality of work. The office-going employees seldom experience such luxuries. Did you know that 78% of employees who call in sick are actually not? They simply need the time off to pay heed to their family or are indulged in other important tasks. Such unplanned leaves can cost over $1,800 per employee/per year! To the contrary, remote staff continues to work even when they are sick as they can stay home without causing harm to fellow colleagues. They also get back to work sooner after medical emergencies and schedule the errands without losing an entire day. In a recent Global Workplace Analytics Study, Dow Chemical, Best Buy and British Telecom reported that their employees were 35-40% more productive when they worked from home. This data is overwhelming as well as eye-opening. In yet another study by CTrip, remote workers reported being 14% more productive than their office counterparts. The workplace distractions can pose a loss as huge as $600 Billion for large companies, according to TRN. With increased productivity, while working remotely, you can save up this sum. Thus, the cost saved by hiring remote workers per year for each employee is from $5000 to $7000. Your ability to scale your business depends on your workforce. After all, it is the people that make a company thrive! Hiring remote workers gives you the opportunity to hire only the best employees from a large talent pool. A remote and flexible role appeals to more people. This also helps you take advantage of the currency difference. Employees might hail from places where the cost of living in low enabling you to secure the top talent for a fraction of cost. Interesting, isn’t it? People really hate to travel long hours and are therefore more inclined towards remote jobs. They are also less willing to leave their families and move out to another city for a job opportunity. Offering remote roles to candidates gives you a plethora of options to choose from. You can then screen these candidates and find out if they are the best fit for the role. More often than not, finding the right employee within your city can get really difficult. Companies spend months looking for the right talent to join their teams. The constraint of location ultimately forces them to compromise with the quality and hire whosoever is available. Why affect your work when you can easily hire remote employees? It is indeed a win-win situation for both the company and the workers. Studies show that employees are more likely to be engaged when they work from home. Needless to say, people that are more engaged are also more motivated. They would be more willing to push their limits as they feel that the work is meaningful. Moreover, remote workers focus on getting more work done in less time so that they can enjoy their free time. The same doesn’t apply to office going folks as they still have to be at work even if they finish their job faster. Hiring remote workers can help you save up these costs as you find the exact talent for the job from a global pool. According to Global HR Research, companies bear a loss of $1000 to $7000 per employee if it is not the right candidate. Losing an employee not only affects your business but also your money. For instance, if your company has an annual turnover of 11% then including the hiring costs, employee training, refilling the role and productivity opportunity will cost you $1.57 million per year. Hiring remote workers can help you reduce employee turnover. According to Harvard Business Review, 68% millennial job seekers said an option to work remotely would greatly increase their interest in the specific employer. Moreover, job attrition rates fall by a whopping 50% when companies offer remote work opportunities. Workers stick to the companies that offer such remote jobs. This, in turn, enables the companies to not hunt for new talent every now and again. The 2015 PGI Global Telework Survey shows that 68% of the surveyed workers worldwide would leave their current jobs for a similar job wherein they can work remotely full time at the same pay. A company could lose valuable employees if they aren’t offering flexible telecommuting jobs. Additionally, employees also tend to work more owing to the flexible hours being offered. Studies have also observed that people who work remotely often work post business hours, unlike the in-house staff. They have the flexibility of balancing the work and their personal life within 24 hours while delivering quality. Hiring remote employees also make your meetings more meaningful. With a dedicated slot allocated for the meeting, you are more likely to stay focused and make the most of the designated time. Knowing that the meeting has to be wrapped up soon enables you to get right to the point. This means increased efficiency and in work while saving a lot of time. Remote workers save up to $5000 per year working from home which makes them reduce the turnover, as per TRN. They also put in long hours which enable companies to make more profit. Did you know that employees report less downtime and sick leaves while working remotely? Since they do not have to put in long hours commuting, the chances of them getting stressed out decreases. Staying at home gives them ample rest which makes them come back to work sooner after a disease. Even if the remote employees lose some time taking care of themselves, they can always compensate it, thanks to the flexible hours. The fact that remote workers get the flexibility required for balancing well-being and work boosts productivity. Even on the sick leaves, if they start feeling better, they can log in and start working. Employers are soon realizing the importance of remote workers. As a company, you might think that remote workers are lazy and they would just slack around. However, according to a Connect Solutions survey, 30% of workers said that they accomplished more in less time when they started working remotely. When asked about how happy they were, remote workers said they would rank their happiness 8.1 out of 10 while working remotely. Telecommuters are happier than workers in other arrangements as they get to stay autonomous while still feeling valued. Remote workers highly value their freedom and flexibility. When companies provide them with remote jobs, employees feel happier and thus produce better results. Unscheduled absences cost around $1800 per year per employee, according to PGI. With remote working, the chances of absenteeism are significantly reduced. The hiring time is drastically reduced when you are looking for remote employees. This is because finding the right talent within the said geography might take longer than usual. However, when you hire remotely, there is a wider pool of candidates that too from various locations. You can shortlist them based on the criteria and then proceed with the screening. It is also relatively easier as the demand for remote jobs is increasing. Who wouldn’t love to work from the comfort of their home while sipping some coffee with pajamas on? Millennials are constantly looking for avenues wherein they get to learn and expand their knowledge while keeping their freedom intact. The current generation hardly believes in conforming to any company and is more inclined to live a digital nomad lifestyle. With so many people applying for remote jobs, you are sure to find the right candidate way faster. The best part is remote work gets rid of the costs involved in recruitment and relocation. You no longer have to move your employees as they are going nowhere! However, it should be noted that your HR team should have access to both national and international candidates to make the most of this opportunity. Companies like IBM, Google and Amazon offer remote working options. These major industry players are saving a lot of money by hiring telecommuters. Needless to say, the trend of remote work is here to stay! Thanks to the technology at discourse, you can create an intriguing work environment virtually. Increase your business productivity and save a huge amount of money by hiring remote employees. According to Glassdoor, it takes up to 52 days to fill a position along with average spending of $4000 to hire an employee. If the employee is being hired based on location constraints then they need not be the exact match. Thus, hiring a wrong candidate who is certainly not the best fit means $4000 for that candidate and $4000 for the replacement. Thus, by hiring remote, one saves $4000 per candidate per year. You are bound to find overwhelming statistics on the internet about how remote work helps in saving money, increasing employee satisfaction and boosting employee retention rates. Apart from the overhead costs that you will save, employee satisfaction and lower attrition are very important. A company is truly built from its employees and remote jobs give the much-needed freedom to the staff. As a matter of fact, a survey reports that 82% of telecommuters feel less stressed in their lives, thanks to remote jobs 🙂 This boosts the morale of employees and they are less likely to take unplanned leaves and check-out during the working hours. Data from Global Workplace Analytics shows that 24% of remote workers report of achieving more in less time as opposed to conventional office employees. Focusing on the happiness of your employees can be a driving force to success. When your employees are happy they are less likely to daydream about where they would rather be. Working remotely helps them be more present and focused. Employee happiness is a by-product of remote work culture. Think about it! No distraction of the time-wasting procedures at the office, incessant chatter of the co-workers, sudden meetings, celebrations, and other hindrances. Employees can truly focus on the work at hand and feel more accountable and productive. This gives them a deeper sense of satisfaction. Thus, your organization can save a lot of money by switching to remote work. The transition from the physical office to a virtual one can be a little challenging. However, with the right tools and technology, you can conquer it. Setting clear expectations and streamlining the processes outright is the way to go. Hiring remote employees don’t only help you save up to $20,000 each year per employee but also boosts productivity. This means that a company with 500 employees can save close to 10 Million per year by hiring remotely. The end result is fulfilled, happy and better-engaged employees. Make sure that you accommodate the needs of millennials who are a crucial part of the future workforce. Have you ever came across a product or service that just made you think “Damn, this is amazing, why didn’t I thought about it myself first.” We all have one of those moments where we can’t help but turn into stone and listen or watch the other person talk about his/her product/service. Bewitched by all the fantastic things that the product has, you start wondering where did this person get the idea to develop an astonishing product/service like this. We live in a world full of constant metamorphosis, where new technology and products keep surfacing. And cutthroat competition is one of the primary reasons for this constant change and development in industrial space. Each and every player, whether it’s big or small, wants to stay on top of others. That being said, in this environment of intense competition only a few emerge as victorious. If you watched the video I mentioned, you would have seen the rise and fall of companies over time. I am sure you would have heard about Airbnb, Uber, and Dropbox, but do you know what Airbnb, Uber, and Dropbox all have in common? Well, of course, they are heavy lifters – massively successful startups; Apart from that, they all started their journey by observing the trends, collating insights, hustling their way into and testing the waters and developing a Minimum Viable Product, or MVP for short. A Minimum Viable Product or MVP is a bare-bones version of a product or service with just enough features tailored to test the market and customers. It’s not a finished product, but the prototype created through carefully calculated interpretation, based on hypothesis-driven development. The product only needs the essential functions; anything beyond minor functionality is not added. By creating a minimal product, one can judiciously use time and resources. This also opens a window for the company to give its customer a sneak peek, a glimpse of how the final product will look like. Millennials are seeing MVPs as the fastest way to prove whether the idea behind the product meets their target audience preferences and personal needs. And MVPs are all the more successful because in the world of crowdsourcing, customers are more than happy to tell companies what can be improved and what should be entirely removed – providing useful insights as well as saving resources for the company. The thought behind the MVP is to break the superlative idea into small steps and examine the behavior of the customers. MVP is a shortcut, a way to change the scenery and 1-up the competitors. Just like I mentioned before in this blog, MVP helps in using the limited time and resources in the most effective way. MVP also helps startupers to test their idea and recognize what trends can be used and leveraged to produce an optimum product which would cater to the needs of the targeted audience. MVP helps in procuring early stage adopters and potential clients. If leveraged correctly, MVP can also be used to attract potential investors. Just imagine a situation where you put 6-7 months of efforts and a budget of $200,000 and still do not receive a positive result, dreadful right? The time put in by the developers, the marketing done by the marketers and the money from the investor or worse from your own pocket, everything slips down the drain. Developing an MVP first and testing the waters would have saved you from this crisis. Building an MVP would have accelerated the product launch with minimal features. Moreover, approximately only 1-2 months and around $25,000 of the budget would be enough for building it, saving you both precious time and resources. Here are 2 companies that we worked with to help them build the right MVPs and turn them into successful products. UBMobile is a mobile-first consumer insight technology and services company. UB Mobile developed a mobile application called LifeTap. 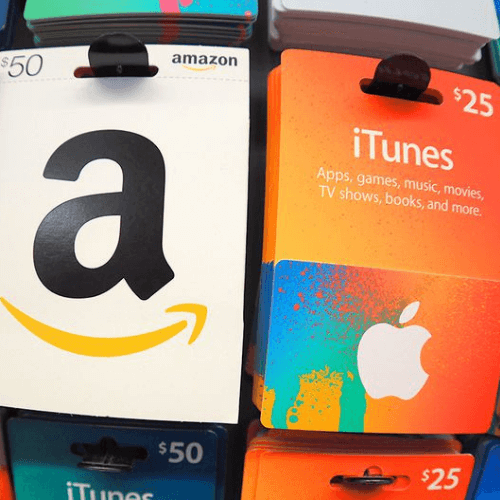 Lifetap is a fascinating platform where users are provided with the gift cards and coupons of different companies for answering simple and short surveys. UBMobile leveraged its marketing research capabilities and created an application which would allow them to get insights about customer behavior and their areas of interests. An early prototype of the application LifeTap was developed for the same. After assessing the initial user interaction and pointers provided by the users, it was understood that there might be a few shortcoming and shortfalls. Major flaws highlighted were the performance and the UI/UX of the application. It was also found that users loved the idea and vision behind the application but did not engage with it. With this valuable insight and data, UB Mobile was confident enough to develop a final product which would be not only smooth in terms of performance but also pleasing to the eyesight. With that mindset, UB Mobile was psyched up and marched toward to decimate their first obstacle – the UI/UX part. They arranged for a Design Sprint Session in order to grasp more about the personas of their ideal target audience. During the Design Sprint, new and innovative ideas emerged which would boost customer experience by ten folds. Read more details on how they did it here. The final design concept aligned perfectly with the feedback received from the customers. The final product gained a lot of eyeballs and was highly appreciated by the users. Developing an MVP before the final product paid off real good for UB Mobile and opened a door for more opportunities. And last year UB Mobile got acquired. Critical Mix, a premier global data and insights company, announced on June 19, 2018, the acquisition of UBMobile. Read about it here. Farbinder is a hyperlocal startup that helps people know about special deals and offers in their neighborhood. Farbinder helps the user discover new place around them, browse local events and announcements, check out local reviews and look up businesses and stuff local folks have for sale or giveaway. Similar to the LifeTap, Farbinder also put a great thought behind what they wanted to achieve and where do they see themselves in the future. Thinking about all that, they decided to go ahead and test the waters by first developing an MVP. The primary purpose of developing an MVP was to get the customers perspective about the design and the vision behind the app, also it was a way to get under the spotlight and showcase the idea behind the app in front of investors. After the launch of MVP, it was discovered that certain design aspects were acting just a hindrance to the refined user experience. These flaws were taken care of by performing a Design Sprint session. Design Sprint sessions provided Farbinder with early-stage clarity and feedback for improvement. From there they went step by step from setting up the problem statement to creating multiple solutions and choosing the optimum one. Developing an MVP helped Farbinder to capture the early stage customer’s needs and provide a solution that they actually want. Farbinder was also able to save valuable resources that would have been gone to waste if they hadn’t checked the market beforehand. Minimum Viable Product development means finding the perfect blend and synergy between the minimalistic design and significance. Development of the MVP should be kept to the minimum, but the product should not be deprived of the main feature you are trying to showcase. In recent years, MVPs are being used more and more by lean startups and tech titans to get traction and validation. If you decide to release an MVP, make sure your strategy is as unique as your business. RemotePanda has helped build MVPs for Farbinder, UB Mobile and many more that have led to million-dollar sales and funding. To learn more, contact us here. If you are wondering what can go wrong with MVP and what you should do to execute it the right way, Read here. From the Client Perspective: The following piece covers imperative topics pertaining to remote work from the client’s perspective. It includes the Benefits of working with a remote team, Finding a remote team, Difficulties faced in working with remote teams and how to overcome them? & Satisfaction with remote work. Remote Worker Perspective: The second half of this article essentially addresses concerns and findings from the remote worker’s perspective. It covers the following topics. Difficulties faced in working with remote clients and how to overcome them? Managing time zone differences, and Resolving cultural differences. The trend of remote work is becoming quite popular and businesses with inclusive cultures are allowing their employees to work remotely. These modern employment options have truly made it possible for companies to leverage the various benefits of delegating work to remote teams. It is a win-win for both parties as the employees also get flexibility in work. However, a lot of speculation around this topic still prevails. To find out the reality of remote work, we conducted a survey that helped us gain a comprehensive understanding of the topic at hand. We essentially focused on the software development field. Below are the valuable insights that we gained. This was the question that started it all; we wanted to understand how we can help companies and remote workers understand the existing problems in the remote industry and how they can overcome it. We had some literature available in the form of notes and blogs from fellow remote platforms. There were some inputs available from founders that had used remote workers themselves and then there was a lot of “how to” and “me too” content produced for the sake of SEO. The problem was that most of these accounts were written with only personal contexts and there was no research we could find that talked about real people and real stories. Moreover, we wanted to go the crowd-sourced way to get the industry trends rather than talking to a focused group or just hearing from people in our network. In mid-April 2018, we decided to take a road trip to capture real conversations on camera about remote work. Over the course of 3 months, we interviewed 250+ CXOs in person in the U.S. covering 16 cities. Post this we conducted an online survey, which had over 300+ CXOs as participants. Since we wanted to go beyond the one-sided perspective, we also took inputs from Remote Workers; thus, covering the whole spectrum of the Remote Work cycle. The participants were mostly the U.S. based CXOs running companies from pre-revenue to $5 Mn in revenue. They were aged between 20 to 60 years. For Remote Workers, The participants were primarily India-based service providers. Their inputs were mostly taken through an online survey. Diving into the statistics, we found out that the average cost of a Remote Developer from South Asia is around 50% less than that of a local hire in the US. Given the further flexibility and scalability that remote teams offer, considering remote workers is indeed a good idea. It should not be misconstrued though that such an endeavor does not invite with it a set of risks and challenges that need to be resolved. Our survey comprehensively covered remote work trends, best practices, and learnings from fellow founders who have actually “been there and done that”. We also made it a point to answer most of the commonly asked questions about remote work. We focused on both the customer’s and vendor’s perspective. This enabled us to get a wholesome idea about the current scenario of Remote Work industry. We posed the following question in our survey and the answer was surprising. After analyzing the results of the survey, we found that a whopping 86% of the participants have worked with or are currently working with a remote team(s). This made us naturally think as to why so many people would prefer working with remote teams? Was it only about the cost? With the same idea, we asked our participants the following question. Why work with remote teams? Conclusion: As empirical knowledge would suggest, Cost is the number one factor to work with remote teams. However, in the study we conducted, flexibility was found to be an equally important reason to work with remote teams. The ability to work at convenient hours and still have the work delivered seemed to be an attractive aspect of remote work. With this knowledge, one can assume that a trend is emerging of people moving away from the traditional 9 to 5 structure of jobs. It suggests that people now want to work when they want to and not according to the clock. Pro Tip: Companies should let employees work the hours they want to work instead of forcing an outdated norm on them. Top companies like Google, Facebook and the like allow employees to work the hours they want. Employers also go the extra mile and give their people the freedom to choose when, where, and how they work. Everything starts by finding the right team. How do you discover remote teams? What are the avenues and how do you compare 2 different teams? We pondered upon this and asked the participants the following question. How do you find a remote team? One would think that most companies would find their remote teams at a competitive online marketplace like Freelancer or Upwork since they’d have a large pool of talent to choose from and the talent will provide services at a competitive rate. Contrary to popular belief, 40% of the participants preferred to work with Remote teams that had been referred to them. Additionally, it was found that CXOs want to work with somebody who has been referred to even if they might be expensive. This clearly implies that Trust is a major factor in this decision. Difficulties faced in working with remote teams and how to overcome them? What are the difficulties you faced while working with remote teams? There are inherent difficulties and problems faced while working with teams in other geographical location. Communication and time zone difference was the top 2 contenders here. Communication problems could lead to objectives being misunderstood thus elongating the project timeline and defeating the advantage of working with remote teams. Time Zone difference would make the project duration longer since any work could take more time than it would have taken due to the limited interaction. The example below shows how simple things may end up taking more time than required if quick review periods are not built in the process. This example considers the time zone difference between New Delhi, India, and San Francisco, USA. Time zone difference can be solved by creating a plan that puts everyone in sync – This involves using the right tools, making adjustments to the work hours & creating multiple touch points within the day. Communication Challenges can be solved by working with teams that speak your language and understand your culture. It also validates the inherent fact that in order to succeed in working with remote teams, you need to invest time and resources in your team to bring them at par with you not only on the project but also on the cultural aspects. IBM today has more staff in India than in its home country, i.e. the U.S. For IBM, its India center is not an extension of the U.S. entity, instead of a stand-alone entity in itself. The Cultural difference is another major difficulty faced by CXOs with about 19% of the participants saying that they have encountered problems due to variation in culture. The Possible solution lies in discussing closely with the team as to how they can be brought closer to the project – This could include, an in-person meeting during crucial phases such as kickoff or release – An understanding of different cultures and keeping them in perspective while creating a plan can also go a long way in helping overcome cultural differences. Satisfaction is one of the most important things when it comes to working. But how satisfied are the people who’ve worked with remote teams? We posed the following questions to find out about the issue. 58% of the participants are satisfied with remote work. While we could see that 58% of participants are satisfied with remote work, we were also glad to find out that only 3% of the participants reported having a bad experience. This was a welcome relief because the confirmation bias that exists in the industry has proliferated the idea that working with remote teams is usually a bad experience. This also established the fact that there is a growing trend in acceptance of Remote Work. RELATED: Why You Should Not Hire Remote Employee? Pro Tip: Keeping expectations in check could go a long way in improving your experience of working with Remote Teams. You need to make yourself fully aware of what working with Remote Teams entails and what it could mean for your company. Such awareness will help you make the most out of Remote Work. Difficulties faced in working with remote clients and how to overcome them? Wanting to understand the Remote Work Industry all-inclusively, we also interviewed Remote Workers to take their opinion on the current state of the Remote Work Industry. We asked them the following question. What are the major challenges of working remotely with clients? Conclusion: The biggest difficulty faced in working with remote clients turns out to be communication, as also seen before in the customer’s perspective. Understanding the work is definitely much easier when done in person. Definition of Objectives and clarity in the end goal of the project was found to be the second biggest challenge in dealing with Remote Clients. Considering both the factors, we can conclude that the right start and defined process are essential for making remote work successful. While initiating the project, make sure both you and the client are on the same page. Make sure that the purpose and the objective of the project are clear and there are measurable KPIs in place. Question: How do you overcome time zone differences? Conclusion: Appointing a team coordinator for the time zone overlap seems to be the solution most teams lean on. The team coordinator is responsible for providing the necessary overlap between both parties. Creating a structured communication process can help overcome time zone difference because both parties then know when and how to communicate and make effective use of the time available. Pro Tip: Time zone difference can be solved by creating a plan that puts everyone in sync – This involves using the right tools, making adjustments to the work hours & creating multiple touch points within the day. Question: How do you overcome cultural differences? Conclusion: Having a positive attitude, openness and understanding of differences in culture can go a long way in helping overcome cultural differences. Language can play a major role in bridging the cultural difference gap. Thus, it is also important to keep in mind that the Remote team should be fluent in your language, and can understand the nuances and implicit context within the expressions. Pro Tip: It is recommended that you put in the time and effort to understand the client’s culture and working style, and also give them an opportunity to understand yours. In summary, Remote work seems to be the future of work. Looking at the responses received from the CXOs and looking at satisfaction levels of remote clients we believe that there is a huge scope of growth for remote work and that trend is not slowing down any time soon. It is also important to understand that remote work is not a one-size-fits-all approach. It requires deliberate time and effort to make it work but once done correctly it is an approach that will keep paying dividends over the years. One thing that was common among all the conversations we had pertaining to remote work was that everyone agrees that remote work is a long-term commitment and needs to be treated likewise. Many people and partners have supported us throughout this survey. An endeavor like this would never have been possible without the hard work and assistance of our partners. We would like to extend a special thanks to all the CXOs and remote workers who took time from their busy schedules to meet us and share their experiences with an open heart. We believe that we are living in an exciting time for remote work and hope that this survey helps our readers make better decisions and build better remote teams. As the business scales, so does your team of employees, which leads to a conflict of decision between whether to go with a remote team or an in-house team. Lately, there has been an increase in remote work, which has disrupted the traditional ways and policies of employment in almost every industry. People not only prefer but, are demanding to work from wherever they want whenever they want. The catch here is, it’s not a one size fits all, some companies can really reap benefits from a remote team while others can’t, and the same goes for the in-house teams. Productivity and cost are two of the most important things while building a team, doesn’t matter if it’s remote or in-house, how much of the prior can you scale up and how much of the latter can you scale down, or achieving a sufficient balance between the two, is the primary factor behind selecting any team. If you’re a startup or a well-established organization who has been reluctant so far to explore working with a remote team, by the end of this blog you’ll have the clarity on which team would suit you the best. So let’s dive deeper into the topic and see the prevailing ups and downs of both the teams. It all started with open offices, in the earlier years, even though people were working in the same offices, they were hard to reach because of the hierarchy, closed-door policies, etc which proved to be a great hindrance to communication. To make collaboration easier, the concept of open offices came into existence, which proved to be really effective in the beginning but some of the employees sensed a feeling of disturbance, the constant chatter of the coworkers made it hard to focus on work. Over time the new alternative to this situation was conceived, which we know as work from home. If we go back a decade, such an arrangement wasn’t as common as it is now, the advent of internet paved way for successful communication between teams which are partly located in the same office and partly scattered around the globe, or the teams which are fully remote, this further led to remote work. Internet and various communication tools have made it extremely convenient to reach out to your colleagues, be it work or just to discuss the weekend plans. There might be a chance that you might not find your in-house teammate at his desk when you are in dire need of his expertise, but there will hardly ever be a situation where you won’t be able to get in touch with your remote teammate. Water cooler talks have been replaced by dedicated channels on tools like Slack, where you can have a channel for a specific team, for the entire office, or just for you and your best bud to make an after office drinking plan. The best part about collaborating with a remote team is that you’ll indulge in more written than verbal communication, you’ll always have a trail of documents you can refer to whenever you are missing out on something rather than spending an hour thinking about an important point another person had mentioned. The most dreadful thing about going to the office after a nice relaxing weekend is a LOOOONG commute, for some, it’s a daily nightmare. You spend every day in public or private transport, doing nothing productive, enjoying the blinkers of the car in front of you. Heavy traffic is a huge obstacle to an enthusiastically planned day. You don’t feel as productive when you reach the office as you felt while leaving home. According to a Robert Half survey, more than one out of five employees quit their jobs because of the hectic commute. Remote workers don’t have to deal with this situation cause they enjoy the bliss of working from their bed or their couch. On an average a person spends 70-90 minutes of his/her time commuting to and from work, this is one of the major factors behind reduced productivity and availability, how much productive can a tired employee be? It has been observed that employees are willing to work extended hours from home than to be victims of a long commute. The only commute which remote workers are involved in, and which they enjoy dearly, is the walk from their home office to their kitchen, some might be even working from the kitchen, having a slice of pizza while writing an email, or drinking a beer while coding, must be adding that extra buzz to the code. Some workers who might not like working from home would often work from a nearby cafe or a coworking space, but even that’s less of a commute compared to non-remote workers. I can stretch this paragraph to another 500 words but still, I wouldn’t be able to come up with one perk for the non-remote workers when it comes to commuting. Productivity is one of the most critical factors taken into consideration while building a team or hiring an employee. Research shows that in-house teams find it hard to concentrate on their desks. According to a study, the number of people who say they can’t concentrate at their desk has increased by 16% since 2008, and the number of those who don’t have access to quiet places to do focused work is up by 13%. Remote work is a great boon for productivity, with more autonomy and lesser distractions remote workers have the ability to achieve way more than their in-house counterparts. As per the survey conducted by SurePayroll, Employers lose an estimated $1.8 trillion in lost productivity each year because of lack of engagement with the job, parents stressed over the cost of childcare, hangovers, chronic health problems and more. Thankfully, remote work and various technologies such as email, video conferencing, IM, collaboration software have made it extremely convenient to get your work done whenever you want from wherever you want and with the least distractions. Another factor that weighs in is availability, we don’t need research to state that it’s difficult to reach your employees once they leave the office, the only time you can tap on their shoulder for a quick meeting is between 9 to 5, unlike in-house teams, you can get in touch with a remote team at any time of the day. And if you have a team scattered across multiple time zones, with a little overlap in time, it’s not just you, even your customers can reach out to your team whenever they want. Nothing makes a company shine like the smiles of the employees. Remote Work is hands down the best solution to keeping your employees happy. An employee can work from wherever they want, whenever they want, with such autonomy, employees are willing to take on more responsibility than ever before. With no manager present to supervise the employees, they feel they are trustworthy enough to take end to end responsibility of every task & completing that task within the given time becomes their top priority. You can find so many in-house employees whining about the working hours, working conditions, policies, no matter what you send their way to enhance their abilities, they will manage to find some discrepancies and soon enough you’ll have a complaint box filled with letters. It’s a fact that companies establishing policies promoting remote work have way lesser employee attrition rate than the companies who don’t have any remote work policies. Not having to commute every day to the office actually saves a lot of money, employees don’t have to pay for transport, lunch or buying office-appropriate attire. All the more reasons to work remotely, right? We all work to provide for our family, give them a better life, but if you’re stuck at the office all day, going home only to find your family has already slept, and there’s cold food on the table for you, what’s the use of such long hours? On the other hand, wouldn’t it be awesome to work from home while helping your kids with their homework, going out with your spouse to buy groceries and finally tucking your kids in bed, remote work lets you do all of this while achieving each of your business targets? Amazing right? Why wouldn’t a remote worker be happy and loyal if his company is taking such good care of him? Now, this is something every manager, CEO, or top-level executive hates about his employees. Too many leaves, some are informed and we always have those rebels who go AWOL, have always been a big concern for the company. Skipping work for a friend’s wedding, going on a long vacation, going to your kid’s soccer match, these are all important occasions but some of these occur quite frequently. Going on a leave every time you have to tend to some of your functions isn’t viable for either you or your company, let’s face it you’re on the clock and if you are going to be unavailable after 5, you are expected to be present at the workplace and put in efforts for as long as you are there. Well, there is another way that you already know of that facilitates the time off to do all of the things that are important to you. People who love to travel, prefer remote work over any other thing, they get the freedom to roam the world while staying in touch with their teams and achieving their targets sometimes from Paris, sometimes from Brazil and sometimes from their own homes. Remote workers take lesser leaves than an in-house team, with the freedom to work at your own convenience, given that you meet all of your KPIs, nobody is going to stop you from attending your friend’s wedding or taking out time for Netflix and chill. The humble abode! In-house teams spend most of their time in the office than at home. So it goes without saying that you need to look after your team and their comfort in the workplace. Upgrading all the furniture, making sure your employees get the best of the technological instruments, replenishing the food stock from time to time, and in case your team grows and can’t fit in your current workplace, you are up for one crazy ride of finding a new and big workplace. A company spends almost $10,000-$20,000 to house an employee in their office. Unlike, in-house teams, remote teams can save you a tonne of money. You don’t have to worry about the employee’s desk, computer or any other thing that is needed to work efficiently, remote employees take care of themselves. Remote work is a blessing, but it’s not a one size fits all, you have to take into consideration your workforce, their productivity, cost and what kind of work you are involved in. If you’re a startup looking to attract the best talent but are running low on capital, remote work is definitely something you should look forward to. If implemented right, remote work will work wonders for your company, if you’re reluctant or need any help with any kind of remote resources, doesn’t matter if it’s a backend requirement or a development need, RemotePanda has got your back. Winter is Coming! The end is here! Well, instead of white walkers, the end of a fantastic year is coming. Yep, it’s that time of the year where we look back at all the fantastic memories we made and the people we met. It’s also that time of the year where we send the year-end greetings to our valued clients. 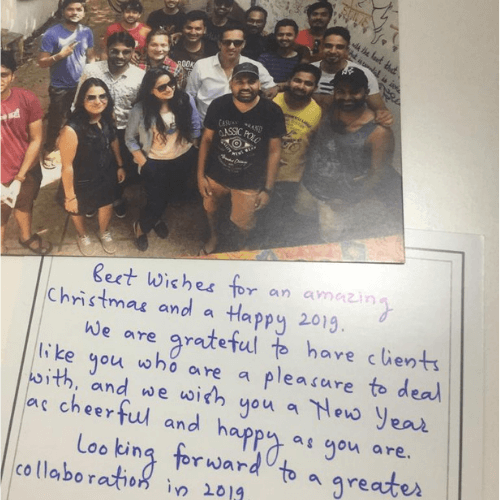 It is a tradition and a ritual that we follow every year in order to tell our clients how great it is to be connected with them and how important they are to us. It’s our way of expressing gratitude and appreciation. Since it’s our yearly tradition, we have always tried to experiment with newer and effective ways. This post accounts on how we have sent different gifts from India to the USA and the gaffes that have happened with international shipments. Before starting on any such exercise make sure that you have the right address and contact details of your customers. Sending an email asking the same is ok, rather than delivering on a wrong address later. Even if you have the address from their website or signature, it is advised to double check. Once that is done, you can think about innovative ideas to make holidays even better for your clients. For us, it is imperative to get that feeling of belongingness across to our clients and what’s better than sending hand-written customized notes right? Accompanied by a project-specific team picture just to add a cherry on top of the cake. This is a fantastic idea, right? What could go wrong one must wonder? Well, we used a company for the same that had an app to put across handwritten notes and ship them via UPS. What we learned the hard way is to go for receipt option so that you know whether it’s delivered or not. If untracked, you just don’t know which packets got delivered and which ones did not. If a handwritten note is not your style, you must have thought that sending something which symbolizes your culture would be a good option. Like sending something which isn’t really available in your clients country, could be an excellent way to connect and exchange culture with them. 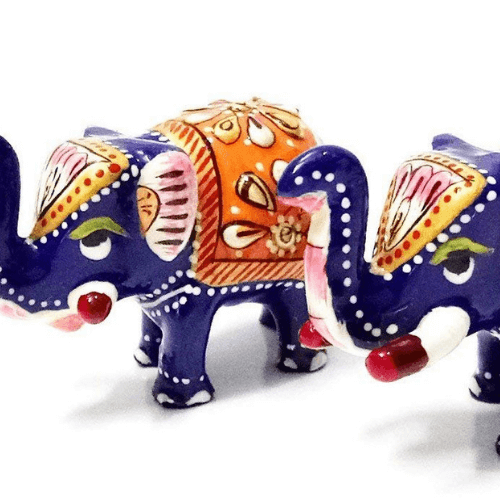 One of the years, we chose to send handmade elephants to our clients. We chose to ship internationally from India. The delivery rate was high but the cost of shipping every item was way higher than the cost of the product. Lesson learned – Take shipping cost into account while you plan. Let’s go with a simple method of sending a gift box using Amazon, well why not? right. Amazon has basically everything. 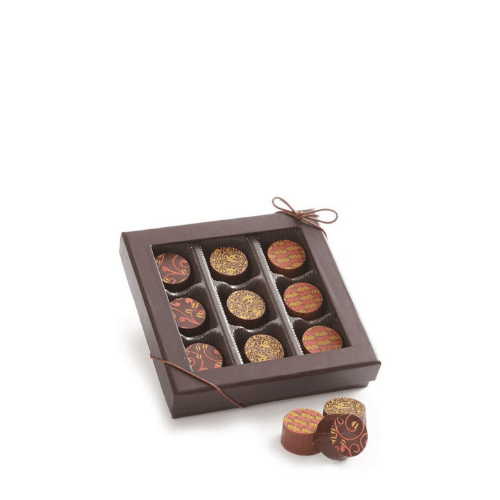 Yep, Last year we tried this too and found that our clients received the gift boxes unlike the case when we sent from UPS, but we had chosen gift wrap option and we figured out that most clients did not see our name on the box. This meant they didn’t know who sent these gift boxes to them. It was only after we asked our clients later on how they liked our gift, they told us that they realize it now that it was us. The chocolates were delicious though, they reported. Gift cards are good, who doesn’t like gift cards right? *Making sure that there is ample amount of time to avail the offer. *Making sure that the offer you are providing is accessible in their country. It’s the end of the year and a holiday season; it is entirely possible that your clients have already gone out of office. Now, what to do? A simple email greeting would be best in cases like these. Moreover, many time clients are juggling with different phases like changing office or going on a long holiday and they may also prefer virtual greetings. Year-end greetings are a great way to express gratitude and importance towards the client. It’s a way to appreciate people who were a part of your journey throughout the year. What are some year-end greetings and gifts that you have sent to people? Did you also face any issue? Let us know. Running a marathon, going the distance, taking up the gauntlet, in short accepting a challenge and following through with it. Many experiences in life need you to go the distance, to invest time in it and persevere in order to get results at the end. I decided to take up such a challenge, I decided to achieve it and was ready to see it to the end. I decided to run a marathon! The first question that naturally pops into anyone’s head is this — WHY? Why does the CEO of a start-up, a busy man as it seems, working seven days a week would have to take up such a challenge? What rewards are a full time working entrepreneur looking for by committing to months of training, both physical and mental? On a superficial level, there may seem some benefits such as health advantages and overall emotional well-being. But now it’s time to scale the entire iceberg! Why run a marathon, read on to find out. Beginning with the general physical benefits that a runner experiences include a full body workout along with the burning of a ton of calories, there is also emotional well-being that is felt throughout the training period. The training and the practice is the real marathon there is, and you will notice that the span of time really does transform you. From couch potato to an agile and lean runner, it is something you will start admiring about yourself and strive harder to stay that way all the time. As said earlier, the journey, the process, all that lead up to the day of the marathon, is the real task. That is the real marathon you have to conquer. Getting up and training continuously for months is not an easy undertaking. But as the days progress and you notice yourself changing bit by bit, obviously for the better, it isn’t possible to stop training. You will want it more than ever and keep looking forward to it. It is a truly inspiring feeling of setting a goal for yourself and then going all guns blazing to achieve it. Investing in a set goal and following through with it tirelessly helps define your own character. It builds confidence in you that nothing is impossible. It gives you an incredible boost in all other domains of your life to just go and get it! You develop a kind of mental toughness that gives you enough energy to tackle any problem head-on. I am a CEO myself and running a startup comes along with a large number of working hours that mostly span the entire seven days of the week. Cramming a training schedule along with it was a bit difficult, but it taught me to manage my time well and engage in effectively utilizing it. Like when you have to squeeze in time, you start prioritizing. You get a chance to remove things out from your schedule that doesnot matter anymore. Maintaining a passion or a hobby with your full-time work calendar is hard, but in a way, one complements the other. You follow your passion with all heart; you’ll see productivity increasing everywhere. After a few weeks, I started feeling like Batman — a billionaire businessman in daylight and a criminal thrashing vigilante at night. And once you have gone all in to win at something, to succeed at your extra-curricular ventures, there will be a different you showing up at the office. One success is enough to raise your own bar in life. You ponder over the possibilities of achieving something even more significant in life, taking on even harder challenges. There is this insatiable hunger that you develop to go beyond all limits. You involuntarily take out all stops to get to your ultimate destination. The journey develops you a lot, but the day of the race is something else altogether! It is the ultimate test of your mental strength, more so than your physical one. It is time for you to showcase all your training. During the race, you realize that the human body is capable of much more than our preconceived notions. We are amazingly capable of recovering, enduring and progressing in almost any aspect. This is a realization only a marathon runner can fully realize and appreciate. Once you finish the marathon, the euphoria, the high that you experience, nothing else can possibly provide. It’s the incredible satisfaction of finishing that not only motivates you to do it again but also makes you obsessed to always finish the task at hand and see it to its ultimate completion. I personally saw myself as a different person walking out of that marathon. Your self-respect soars, there’s a new identity that you now have, and now you basically become Batman! Nobody can touch you. Although coming from the point of view of an entrepreneur, people from all walks of life need to experience the sheer joy of completing a marathon at least. With so much to learn about yourself and life in general, completing a marathon is truly attaining nirvana!